0 Hot Springs Village Vacation Rentals. Hot Springs Village located in the southern state of Arkansas features first class rental villas, condo rentals and vacation homes. This historic city is a destination that anyone who visits it will immediately fall in love with the area. Hot Springs Village was America's First Resort and to this day is still one of the most popular vacation destinations for families. It is the largest gated community currently in America. You will be blown away with the southern hospitality you will receive when arriving to Hot Springs, it is truly a treat. There are several activities to do and attractions to see while staying in your Hot Springs Village Vacation Rental. This gourgeous community features 12 amazing lakes, championship golf courses, tennis courts, outdoor pools, along with a large selection of trails you can hike through Ouachita Mountains. The locals in the area live a relaxing and casual lifestyle welcoming you with warm southern hospiltality and open arms. The scenery in the area of the mountains, lakes and springs is absolutely spectacular. You have amazing lakes to go boating on, quality places to golf and great attractions to see. You can also enjoy great dining, live music and horse races, art galleries & events, botanical gardens or take the family to Magic Springs and Crystal Falls. There is also great places to shop while staying at Hot Springs Village. If you are looking for the ultimate vacation package where you have several things to do, Hot Springs Village is the destination for you and your family or spouse. You have an amazing time while staying at the unique community. 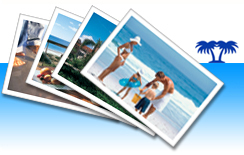 You can view a great selection ofvacation rentals by ownerright here ativacationonline.comand book your trip online using ourvacation rental software.Your next ultimate vacation experience can be minutes away from being booked at a great value!